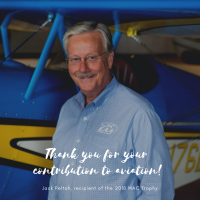 The Wichita Aero Club’s monthly luncheon on Tuesday, May 14, 2013 will feature the speaker members selected as their favorite in a survey last year, Richard Aboulafia. As one of the nation’s foremost aviation industry analysts, Aboulafia, vice president of analysis for the Virginia-based Teal Group, Inc., will be making his third appearance before a WAC audience. He was the club’s inaugural speaker in December of 2008 and he made a return visit in April of 2011 to review his earlier predictions. “His popularity must stem, at least in part, from his engaging and extremely well-documented style, because his message, on both occasions, was not the most encouraging we’ve heard. It was accurate—but not necessarily encouraging,” said Dave Franson, president of the Wichita Aero Club. Noted for his insights into the commercial and military aircraft fields and broader defense and aerospace trends, Aboulafia is highly sought-after as a speaker and forecaster. He has authored numerous articles in trade publications and is frequently cited as an aviation industry authority by news publications. 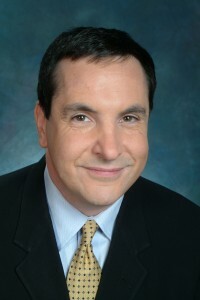 “Richard has also appeared on numerous television news and radio networks including ABC, BBC, Bloomberg, Reuters, CBS, CNN, NBC, NPR and PBS and is often the ‘go-to-guy’ when the state of the industry and the economy are being discussed. He’ll be meeting with Spirit AeroSystems during his visit again this year, and they are sponsoring his presentation at our luncheon, as well,” Franson explained. “Richard’s perspective, especially as he relates it to his previous forecasts, is always interesting and insightful,” he added.